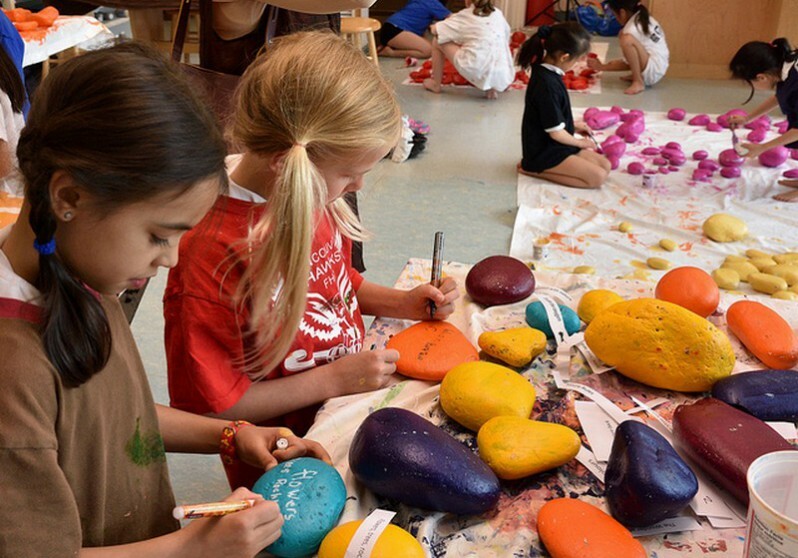 York House School (YHS) Grade 2 students have been collaborating with the Arbutus Greenway and Vancouver Biennale Big IDEAS education program to create their own public art installation. Students have been reimagining a section of the Arbutus Corridor to serve the needs and wants of the local community. They have visited the site, interviewed community members and learned about the natural environment. 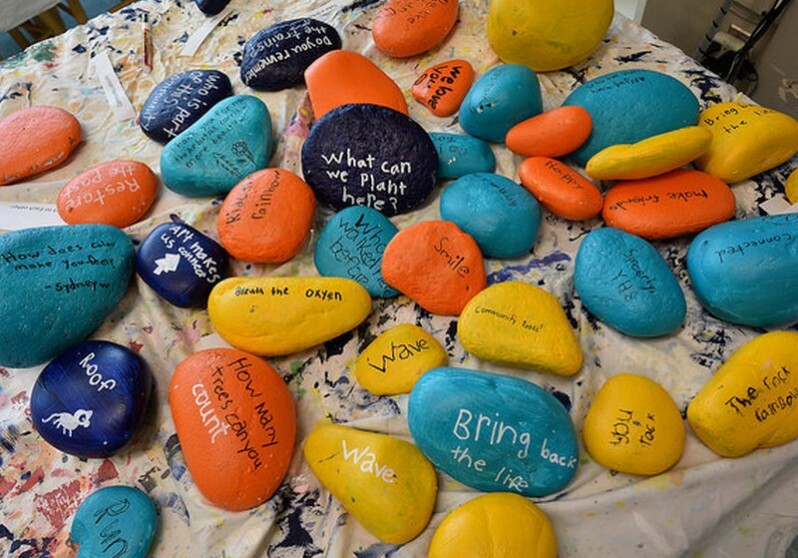 To bring awareness to this space and community, the students collaborated with Biennale artist, Toni Latour. The students learned about public art, its role in creating community, and visited several of the Vancouver Biennale’s large scale public art installations across Metro Vancouver. 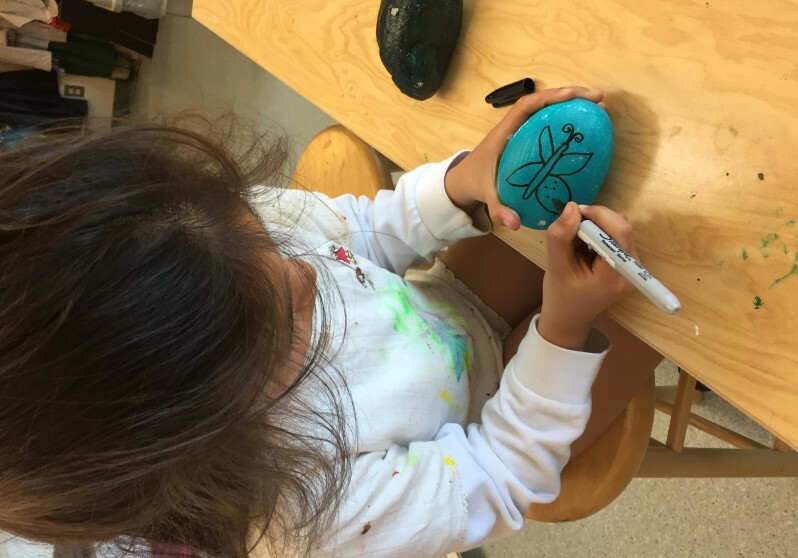 On June 9th from 9:30 – 11:00 am YHS grade two students will be installing 700 painted rocks on the Arbutus Greenway to inspire community engagement and awareness on the Arbutus Corridor. The rocks will be installed on each side of the asphalt between Nanton Road and Quilchena Park. For more information about the project, visit York House School: Reimagining the Arbutus Greenway learning case.